This handmade crochet coffee cozy is the perfect way to add a little style and fun to your morning (or afternoon) coffee run. This cute accessory is also eco friendly instead of wasting countless cardboard sleeves! It keeps your coffee stylish and your hands protected while you hold your coffee, too. Wins all around! They are also great for hot coffee because they keep your hands from getting burned! 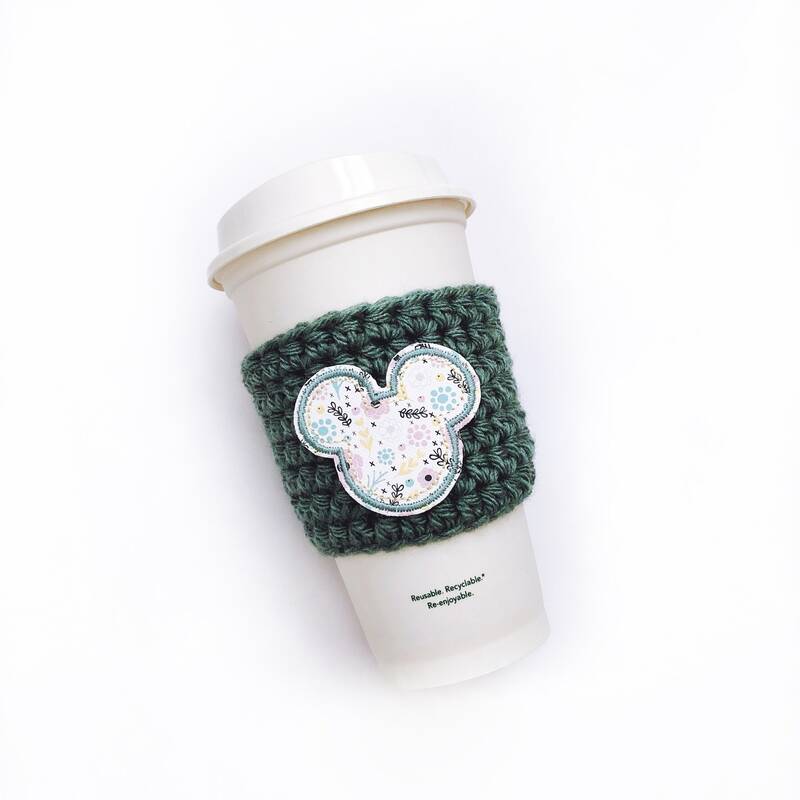 These crocheted coffee sleeves fit most coffee shop to-go cups, or your own travel to-go cup. Care: Spot clean with cold water and mild soap. Lay flat to dry. Some re-shaping may be needed. Be careful to not get any appliqués wet. If your cozy becomes stretched after using a large cup or lots of wear, simply wet a little and squish back to its original shape and let dry.